Ken Stachnik is a cinematographer, screenwriter, and director based in Los Angeles, California. He has worked in nearly every area of film production on sets large and small. Ken received the award for Best Lighting at the 2016 FearNYC Film Festival for the full-length feature film Clown Town (cinematographer), produced by Steel House Productions. 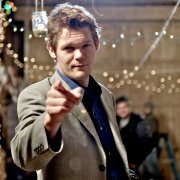 His short film Return to Grace (director, screenwriter) won the Audience Choice Award at the 2010 Elgin Short Film Festival. His work has been commissioned for corporate clients and media publications including Hewlett-Packard, MensHealth.com, Prevention.com, and Livestrong.com. Ken’s second full length feature film, The Toy Box, is currently in production.